In 1984 the establishment of the Vitis International Variety Catalogue (VIVC) took place at the Institute for Grapevine Breeding Geilweilerhof. The concept of a database on grapevine genetic resources was supported by IBPGR (today called Bioversity) and the International Organisation of Vine and Wine (OIV). 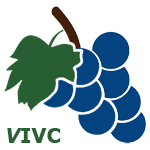 Today VIVC is an encyclopedic database with around 23000 cultivars, breeding lines and Vitis species, existing in grapevine repositories and/or described in bibliography. It is an information source for breeders, researchers, curators of germplasm repositories and interested wine enthusiasts. Besides cultivar specific passport data, SSR-marker data, comprehensive bibliography and photos are to be found.